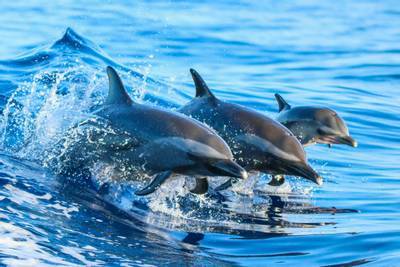 ‘On Naturetrek’s first wildlife cruise in the Solomon Islands, our group of 17 had the unique opportunity to explore the archipelago’s relatively intact forested islands and impressive, healthy coral reefs – some of the best in the world’, writes tour leader Ed Drewitt. ‘Our adventure began in earnest when we embarked on our motorised canoe, destined for the Amazon Research and Conservation Centre (ARCC) upriver’, writes tour leader Tom Ambrose. ‘The sun was already low in the sky, lending its luminous glow to the impenetrable wall of jungle on either side. 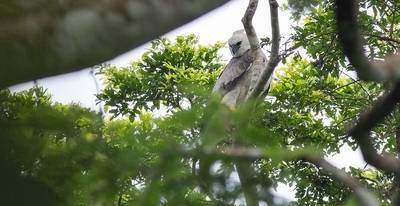 Various species of macaw, parrot and parakeet flew noisily overhead, returning to their roosting sites. It wasn’t long before we spotted our first Black Spider Monkey, which gazed down at us inquisitively from the crown of a towering emergent tree. Shortly after darkness fell, we reached ARCC, our base for the duration of the tour. 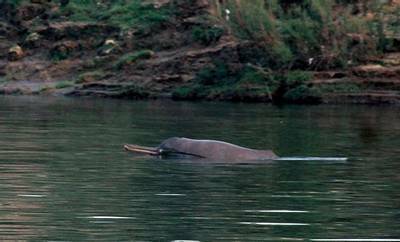 ARCC is strategically situated next to a large oxbow lake, home to an endearing family of Giant Otters. Serene boat trips on the lake were our favourite activity, and regularly provided views of the otter family, in addition to exciting birds, including Agami Heron, Capped Heron, Sunbittern, Hoatzin, Chestnut-eared Aracari and Masked Crimson Tanagers. A particularly memorable experience was our night excursion, when we used spotlights to find Ladder-tailed Nightjar, Boat-billed Heron, and Black Caiman. Another popular activity was birdwatching from the canopy tower, which allowed for close-range viewing of some spectacular canopy species! From here we watched gaudy Paradise Tanagers as they bathed in a nearby bromeliad, had great views of a Golden-collared Toucanet which landed on a branch beside us, and enjoyed a flyby from a rare Collared Forest Falcon. 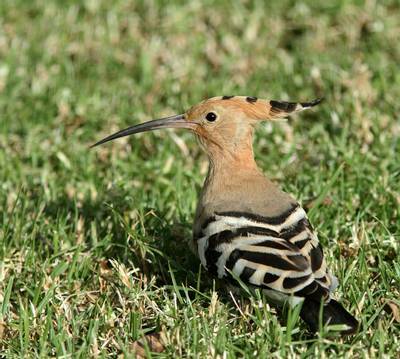 ‘Our recent “National Parks of Southern India” tour was an incredible trip, with some wonderful southern Indian wildlife specialities’, write tour leaders Durgesh Singh and Anand Sinha. 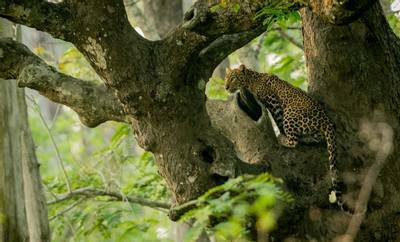 ‘In Brindavan Gardens, near Mysore, we were thrilled to see Small-clawed Otters, whilst the sighting of a female Leopard on a tree in Kabini was certainly one of the tour’s highlights. We then undertook a truly surreal journey up the mountain road and through the clouds to the hill station of ‘Ooty’, also visiting nearby Coonor to get first-hand experience of a tea factory and its gardens. Our birding session yielded multiple varieties of bulbuls, Heart-spotted Woodpecker, Vernal Hanging Parrot, Oriental Honey Buzzard and mammals including Nilgiri Langurs, Indian Giant Squirrel, Asiatic Elephants and Gaur at Top Slip, where the group also got the opportunity to interact with a domestic Elephant. 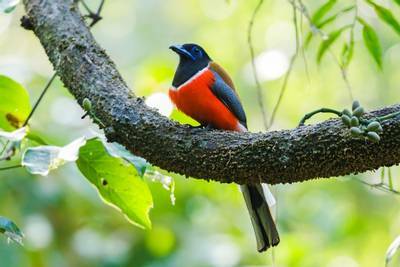 Our visit to Eravikulam National Park and its surrounding area rewarded us with some good southern Indian endemics including Nilgiri Tahr, Kerala Laughing-thrush, Nilgiri Flycatcher, White-bellied Blue Robin and Black-and-orange Flycatcher. In Thekkady we enjoyed sightings of Elephant, Gaur, Sambar, Malabar Barbet, Malabar Trogon, Indian Paradise Flycatcher, Loten's Sunbird, Black Baza, Grey-breasted Pigeon, Malabar Whistling Thrush, Oriental Scops Owl and Monitor Lizards. 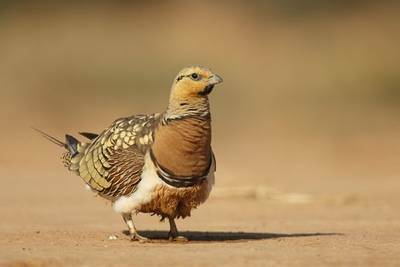 ‘Starting in late October, our “India’s Wildlife – A Photography Tour” in northern India was very successful’, writes tour leader Anand Sinha. 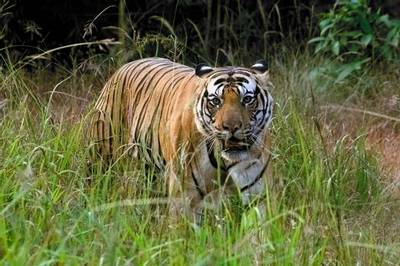 ‘On our first game drive in Bandhavgarh, having seen many signs and tracks of the big cats, we narrowed down the area to a patch of forest where a Tigress had been seen on a kill that morning. After patiently waiting for some time, we were rewarded when she came out into the open and crossed the road. She went straight towards the water in the nearby stream, giving us great close-up views and wonderful images of her as she quenched her thirst. On another occasion, a Tigress walked straight into a patch of light which was falling on the forest floor like a spotlight. The scene seemed to be an apt enactment of William Blake’s poem “Tyger Tyger, burning bright”. However, our best sighting in Bandhavgarh occurred right at the end of the tour. In the morning we found the area’s dominant male Tiger in the dense bushes, fast asleep and barely visible. In the afternoon, to our surprise, we found him still enjoying his slumber in exactly the same spot – then to our utter joy, this huge male Tiger stood up and walked in our direction as though it was scripted! We were so engrossed looking through our viewfinders that for one second we forgot how close he had actually come to our jeep; what an amazing experience! ‘Our “Temples and Tigers – The Best of Northern India” tour in November visited some of the exciting Tiger Reserves and magnificent monuments of northern India’, writes tour leader Durgesh Singh. 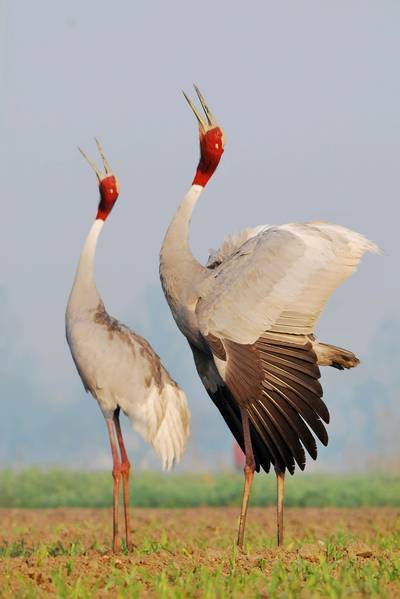 ‘The holiday got off to an excellent start in Sultanpur National Park, where we saw a pair of Sarus Cranes and Black-necked Stork on our first day. Moving on to Khajuraho, we visited the awe-inspiring temple with its incredible architecture and then got the unique opportunity to meet the rarely seen Digambar Jain monks. Panna National Park produced good sightings of Sambar, Chinkara, Nilgai and Marsh Mugger Crocodile, whilst tour participants were delighted by exciting Tiger and Leopard encounters. We were also treated to the heart wrenching sight of an Indian Rock Python which had grabbed a Spotted Deer fawn, while its mother tried frantically to rescue it from the snake’s clutches. Orchha was seen in all its glory during the Diwali festival and the Cenotaphs (memorials to the rulers of Orchha) gave us some beautiful shots of highly endangered nesting Indian Vultures. In Agra, we experienced Diwali with the lighting of lamps and the bangs of bursting firecrackers, before enjoying the spectacular Taj Mahal at sunrise and then visiting the impressive Fatehpur Sikri close to sunset. In Bharatpur, we revelled in the amazing birdlife, while the nesting colony of storks, egrets and cormorants kept the photographers in our party glued to the spot for hours! 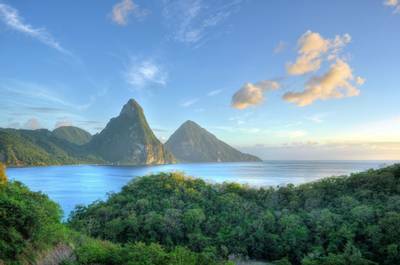 Our January tour to St. Lucia certainly didn't disappoint! A combination of warm weather, multiple sightings of Sperm Whales, a large pod of Pantropical Spotted Dolphins and endemic birds, all enjoyed on an idyllic Caribbean island, made for a very special trip! One highlight was our visit to a bat cave which catered for the daytime roosting of hundreds of Lesser Antillean Fruitbats. Here we also watched a Boa Constrictor gliding ever so slowly through vines twenty foot above us and enjoyed daytime views of Common Opossum and Asian Mongoose. Our own beach boasted a fishing Osprey, a wintering Belted Kingfisher and Brown Boobies, who preened themselves on the nearby cliffs. The shallow waters and reefs attracted a myriad of dazzling fish, with many of us taking to the water to appreciate them whilst snorkelling – parrotfish, trumpetfish and angel fish to name but a few. 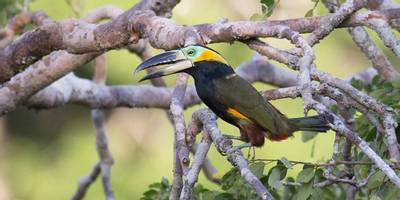 Our excursions included mini expeditions into the central island rainforests, where we saw St. Lucia Parrot and Rufous-throated Solitaire, to the drier Atlantic forests for the rare White-breasted Thrasher and to active sulphur springs. Add to that a forest canopy gondola ride, visits to birding hot spots, gardens and areas of horticulture to admire the range of vegetables and fruit utilised at our resort, and we returned home feeling as if we had enjoyed a very large and varied slice of what St. Lucia had to offer! 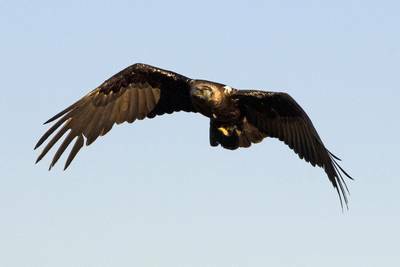 ‘Our 7-day “Extremadura at Christmas” festive exploration of the fascinating wildlife of the plains, mountains and wetlands of Extremadura was a real Christmas to remember’, writes tour leader Niki Williamson. ‘Heading out from the welcoming surroundings of our home-from-home at Casa Rural Viña las Torres, we were treated to breathtaking views of such star species as Little and Great Bustards, Black-bellied and Pin-tailed Sandgrouse, Golden and Spanish Imperial Eagles and Cinereous Vulture. 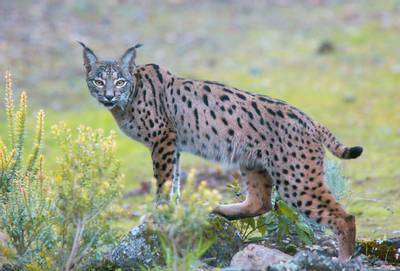 ‘Our two-centre “Realm of the Iberian Lynx” tour in mid-November took in the atmospheric misty woodlands and wetlands of Doñana Natural Park, as well as the sweeping Cork Oak forests of the Sierra Morena near Andújar’, writes tour leader Niki Williamson. 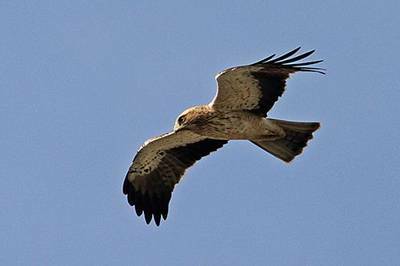 ‘The group were thrilled by encounters with Spanish Ibex, Wild Boar, Mouflon, Red and Fallow Deer, as well as stunning raptors such as Spanish Imperial Eagle, Golden Eagle, Cinereous Vulture and Black-winged Kite. Doñana´s wetlands were outstanding, and the nature-loving group were blown away by the spectacle of views of thousands of Greater Flamingoes and Glossy Ibis, as well as Red-knobbed Coot, Red-crested Pochard, Purple Swamphen and Marbled Duck. 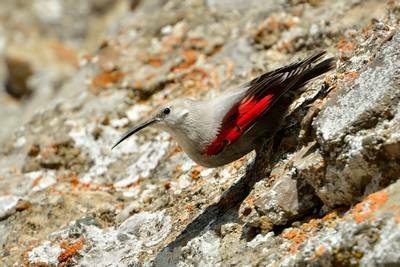 In Andújar an impressive array of mountain and farmland wildlife filled our days, including Blue Rock Thrush, Schreiber´s Bats, Azure-winged Magpies, Eurasian Hoopoe, Iberian Grey Shrikes and Crag Martins. ‘Our 8-day “Portugal – The Algarve at Christmas” holiday began in Tavira; the weather was fine and sunny and stayed that way for much of the holiday’, writes tour leader Neil McMahon. ‘The tour got off to an auspicious start near Faro, where we found an Osprey eating a fish, Audouin's Gull, waders and Spoonbills. Around Castro Verde, we were quickly into the birds with Spanish Sparrow, Corn Bunting, Little Owl, Black Redstart, Zitting Cisticola, Crested Lark, White Wagtail, Iberian Grey Shrike and a large flock of Little Bustards. After a sumptuous lunch of traditional Antelijino fare, the afternoon provided us with Great Bustard, Firecrest, Hen Harrier, Calandra Lark, Hoopoe and over three hundred Common Cranes! Saltpans near Tavira and coastal marshes at Castro Marim produced Bluethroat, Kentish Plover, Black-winged Stilts, Avocets, Slender-billed Gull and Greater Flamingo and at Quinta do Lago we found Western Swamphen and Audouin's Gull. Christmas Day saw the expedition move to Sagres in the west and en route we revisited Quinta do Lago where we saw Booted Eagle, Iberian Magpie, Iberian Green Woodpecker, a vagrant American Green Heron, Little Bittern and Black-headed Weaver. Salgados Lagoon was full of waders, Caspian Tern and Marsh Harriers. ‘Wall-to-wall sunshine, amazing clarity of light and stunning sunsets each day were features of our “Provence at New Year” holiday’, writes leader Jessica Turner.